Thank you for visiting another one of Okaz Motors's online listings! 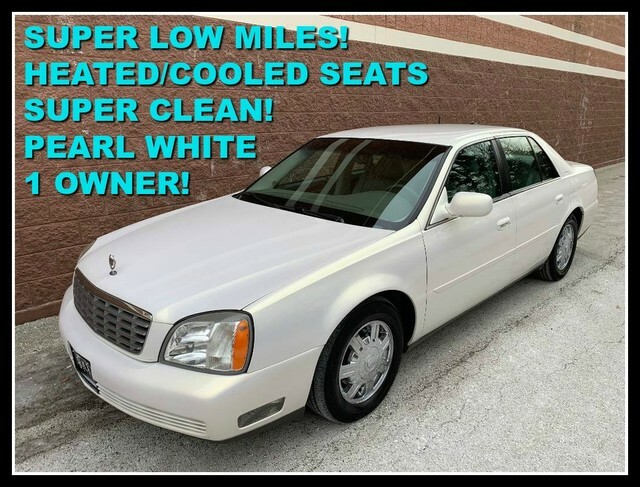 Please continue for more information on this 2004 Cadillac DeVille with 53,425mi. This vehicle is loaded with great features, plus it comes with the CARFAX BuyBack Guarantee. CARFAX shows that this is a one-owner vehicle -- no wonder it's in such great condition. Excellence, luxury and stature are just a few of the pillars this car is built upon. In addition to being well-cared for, this Cadillac DeVille has very low mileage making it a rare find. Added comfort with contemporary style is the leather interior to heighten the quality and craftsmanship for the Cadillac DeVille This vehicle includes important services and maintenance records, so you can feel more confident about your buying decision. Clean interior? How about flawless. This Cadillac DeVille looks like has never been used. You will never have to worry about keeping up with traffic in this Cadillac DeVille as it packs a beast under the hood. Stand out from the crowd as a 2004 Cadillac DeVille is a rare find and just may attract paparazzi. Upgraded wheels enhance the look of this Cadillac DeVille.